Prince William and his soon-to-be wife Kate Middleton visit Scotland this week and return to the place there their relationship first started – St Andrews University. Their trip is prompted by the university requesting that William be patron for their 600th Anniversary appeal. 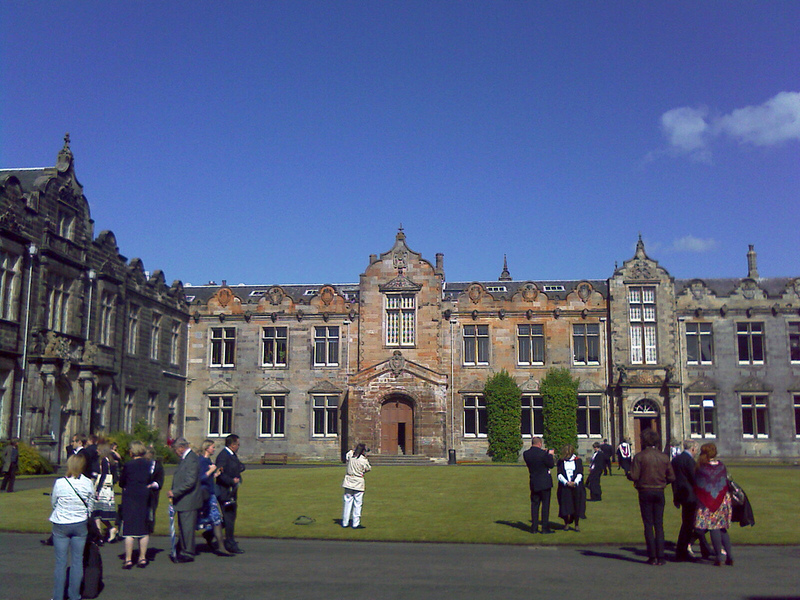 One of the main aims of the appeal is to raise money for scholarships with the noble objective of supporting bright students without financial means to be able to benefit from a St Andrews higher education (not something William or Kate had to worry about when they attended). Obviously, I am all for everyone, no matter his or her financial position, being able to attend university and St Andrews, the first University in Scotland, should be no exception! I was accepted at St Andrews University myself (1 or 2 years before William and Kate attended!) and, on my intrepid quest to try to work out (at the tender and clueless age of 17) which University I should choose I visited the town and had a look around the university. I decided in the end that St Andrews was not the University for me (much to my parents and teachers disappointment) and instead the City of Newcastle suffered my ‘interesting’ student years. But my choice not to go with St Andrews was no reflection on the university, town or the surrounding area, rather the lesser number of pubs (which at 18 was of crucial importance to me) it had in relation to the big city! Do not get me wrong, I enjoyed my time at Newcastle University, however now (older and wiser?) I can’t help but think that maybe I missed a trick (and the chance for a royal husband)! 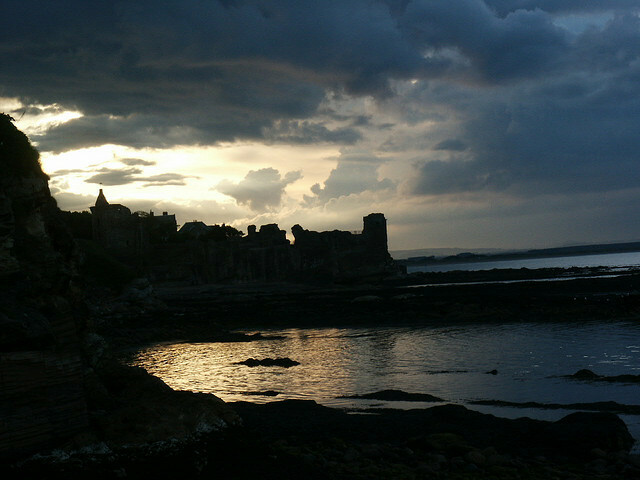 St Andrews University and the town in which it is situated are steeped in history and tradition. The architecture of the town is truly stunning and for those who enjoy golf it is definitely a place you can’t afford to miss. My favourite building (or what is left of a building) is St Andrews Castle that stands close to the water’s edge over looking the small beach of Castle Sands, there is something quite haunting about the structure which was once used as a prison, and it proximity to the often harsh north sea just adds to its almost threatening character. 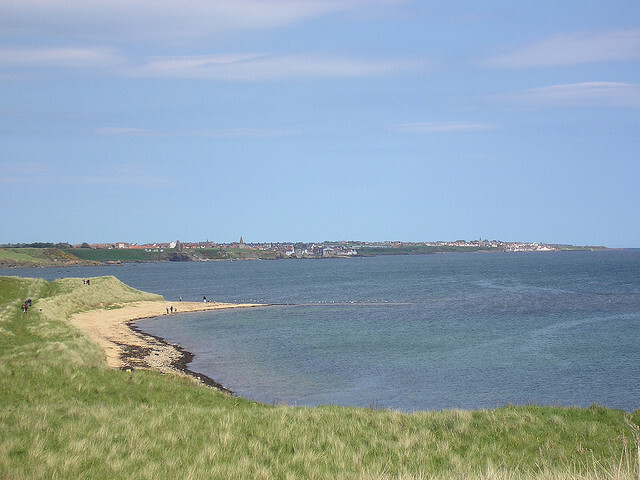 The history of the town extends beyond its boundaries; with the nearby village of Cellardyke has one of the most pretty old fishing ports in the country and Lower Largo birthplace of the ‘real’ Robinson Crusoe. Branching further out of the town are treasures such as the village of St Monans with its superb coastal views and quaint traditional houses on narrow winding streets and intriguing stories of piracy, smuggling and shipwrecks. Relics of the less distant past also wait to be discovered – Scotland’s Secret Bunker, built in the 1950, is well worth a visit. And while Newcastle had its fair share of kebab shops (another staple of my student years) I have yet to find a better fish supper than the one served at the award winning Anstruther Fish Bar! So, as William and Kate head back to St Andrews, the starting point of their romance, I do hope they get the opportunity to take some time out from their busy schedule and enjoy some of the peaceful pleasures the East Neuk of Fife has on offer before the stress of the pre-wedding frenzy!